Chartres Labyrinth Necklace, by Feral Strumpet. For more labyrinth-inspired designs, go to my shop. Tomorrow, May 3rd is the 6th annual Labyrinth Day. Organizers of the day are encouraging people to walk as one at 1– walk a labyrinth at 1pm together. 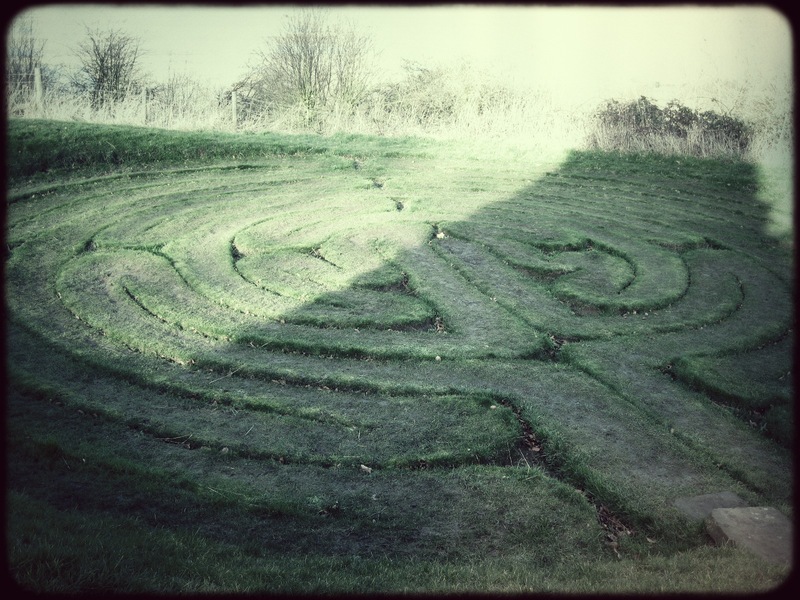 There are several labyrinths around Yorkshire, some temporary, others maintained for hundreds of years. All are sacred to me, offering a wonderful multi faith symbol of faith and the complexities of life. Celebrating the spiral journey– these beautifully detailed earrings depict the Chartres cathedral maze Crowned by amethyst toned Swarovski crystals, these earrings are a beautiful reminder that there are no wrong turns in life, and though the path may twist and double back, we walk it in love and trust. The Chartres labyrinth dates from the 13th century and is the best preserved example of a medieval labyrinth, but it is no doubt an echo of an earlier pagan symbol. 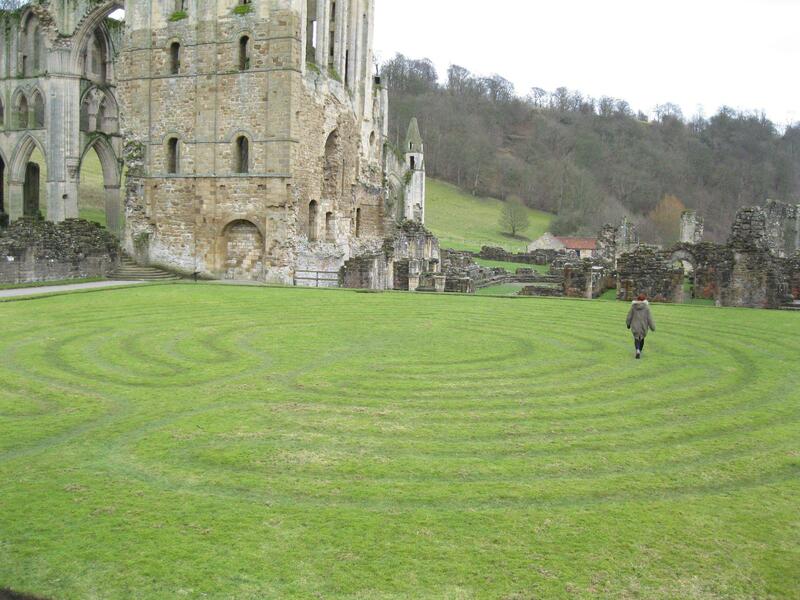 Many years ago I had the luck of being in Chartres when the labyrinth was open to pilgrims. Walking it like so many had for hundreds of years before me (some on their knees!) I was filled with wonder. I hope a tiny fraction of that is captured in this necklace. This weekend I celebrated Imbolc (Some say this word has derived from Old Irish, meaning “in the belly”) referring to gestating pregnancies of ewes, but I like to think of it as a special holiday for belly dancers. Having just begun to teach an American Tribal Style Belly Dance class in York, this “In the Belly” felt most auspicious. Imbolc corresponds with the Christian candlemas– I left a candle lit all day during this festival of light which has always brought aspects of my creative life together. Chartres Labyrinth Necklace, available in my online shop. For those of us who may be following a Heathen path, this is also the “Charming of the Plough” where the tools of our livlihoods are put on our altar to be blessed so that we may be creative and fruitful in the new year. 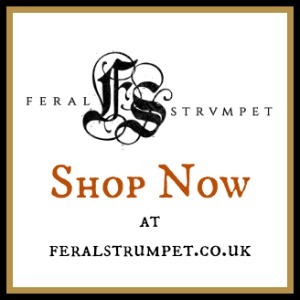 All my tools were laid out– the mandrels, cutters, pliers and bail makers, the files and hammers. Brigid has been my patron goddess for many years– I went from earning my (extremely small) crust as a poet to working in metals. Brigid is the goddess of the poet and the blacksmith– the two workings are alike in many ways. Poetry is made from words formed in the heat of the will, and the cold forged designs I make have their own rhythms, rhymes and meters. This Charming of the Plough is a Dísablót, a celebrating of the dísir, or female ancestors. I cooked a meal for my female ancestors and poured them some good beer, and the day was done. 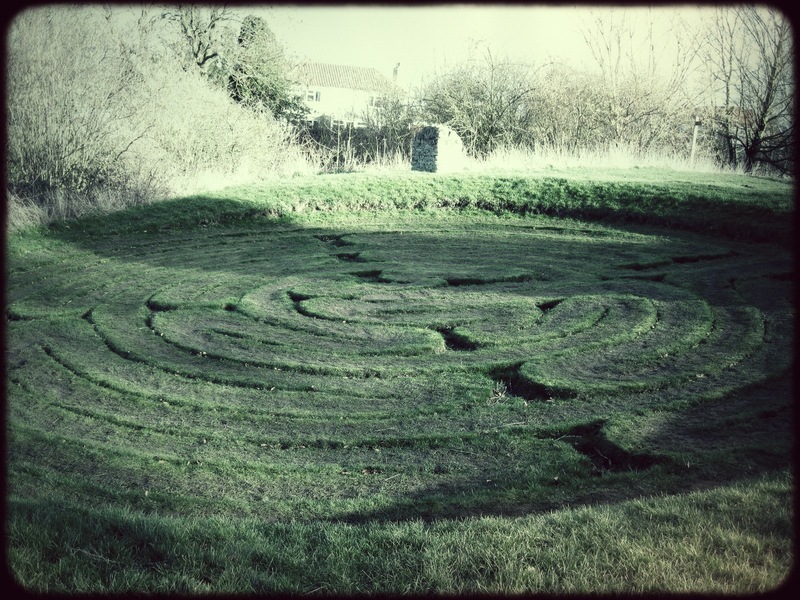 The next day, M and I drove to Lincolnshire to visit Julian’s Bower, a turf labyrinth that is most likely medieval, though the first written record of it dating from the 17th century claims it’s Roman. Someone had left three fresh pink roses in the centre– three pale norns– covered there by the muddy edges of the turf so that they were only visible once you had walked the full circuit. On a clear day you can see the York Minster from this place. These Northern turf mazes share much in common in naming and structure to Scandinavian turf mazes, and one would like to think these may date from the Viking Age, or perhaps they are a remnant of ancestral memory from that time. 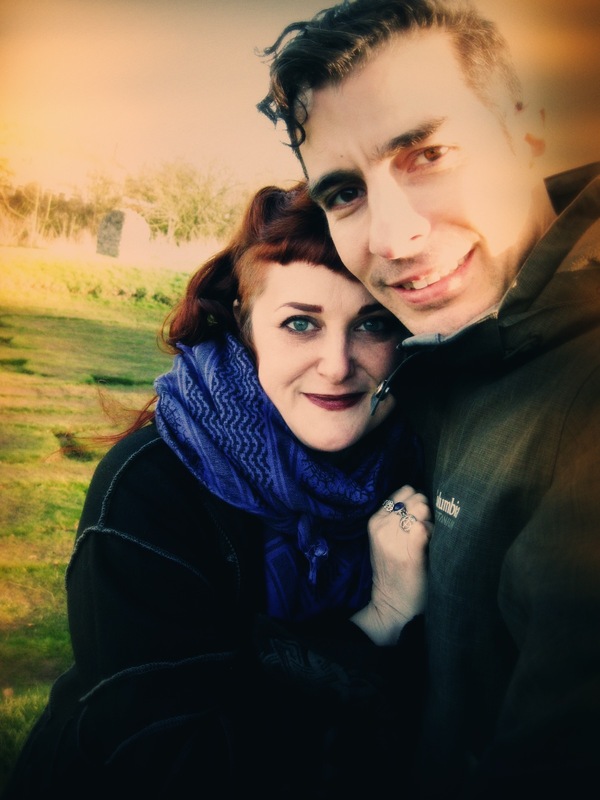 Last weekend we visited the smallest turf maze in Europe, The City of Troy. 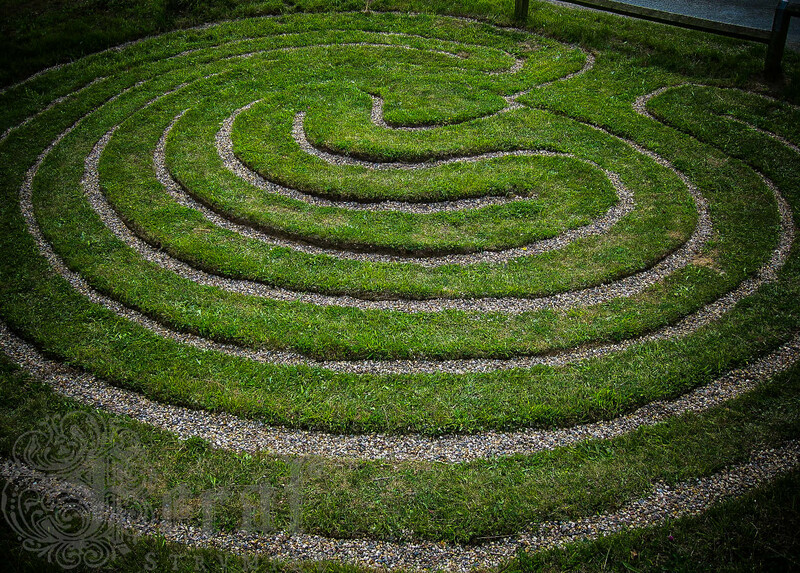 A Classic “seeded” labyrinth, it’s about the size of a very small sitting room, situated right off the road. There’s a plaque and bench nearby for musing on this tiny, sacred structure. This maze is very well cared for and visible. It may not be very old, perhaps only Victorian. According to Labyrinthos.net, this maze was moved in 1900 and probably dates from the mid-19th century, but the intention of the thing is quite ancient. 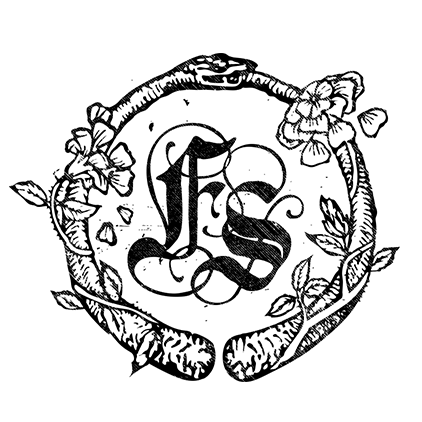 So much of English folklore is fuelled by just such mysterious whimsy. The plaque suggests this is a waiting place for lost souls who may be consulted at the centre! This is an echo of older belief amongst diverse cultures which sees the labyrinth as a path to the ancestors or itself an ancestor. The labyrinth is also known as Troy Town, and the sign beside it says the origins may come from a the Scandinavian Bronze-age Trojaborg Labyrinth which is made of stones. Much of the landscape here is wedded, linguistically and otherwise, to our Viking ancestors. Sometimes these labyrinths are called Maiden’s Dance, which is a shadow of what was perhaps a symbol of the Goddess, particularly Ariadne, keeper of Labyrinths and goddess of dance. Mazes and dancing: there’s a connection. Once, Kimberly MacKoy, one of my dance teachers, said when we were doing a particularly difficult drill, “Welcome to the labyrinth of your body.” (Talk about a goddess!) This “classic” labyrinth style is found all over the world, and is thousands of years old. It has seven circuits which correspond to many sacred sevens, including the “spinning wheels” or chakras of the body. “Caerdroia” is a Welsh name for labyrinth, translates to “castle of turns”, which brings to mind Arianrhod, the goddess of the “silver wheel” of the moon and her spinning castle. It is easy to draw a classic labyrinth, as you can see below. It looks almost like those old fashioned dance diagrams. Some say a dance is at the root of this drawing of the labyrinth, and Jacques Hébert has proposed a choreography here. Though the plaque by the City of Troy states this is a “game”- it is more often used as a meditative device as it is a metaphor for the journey of life. 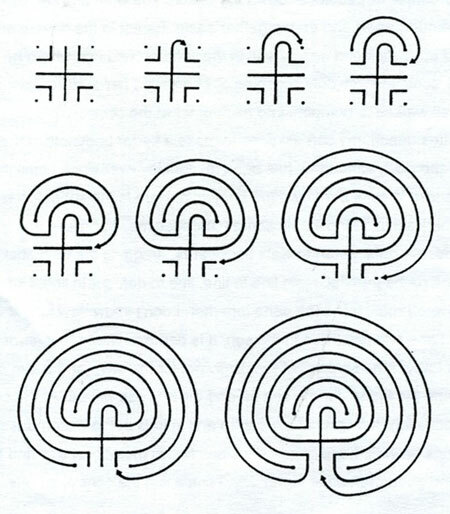 I have a dear friend who has a tattoo of this maze on her shoulder. She is a dancer, too. I can imagine her dancing the maze, this “castle of turns” with the new yellow wheat all round, just as it was on this summer day, like the hair of so many maidens, lush and waving atop the Howardian Hills. A blessed Litha to all my friends, readers and shop supporters. This longest day brings many blessings– not least of which is a little Victorian terrace house for my husband and I, right outside the medieval city walls of York. Finally, we might be able to put down roots and perhaps our nomadic lives can shift to nesting in earnest. 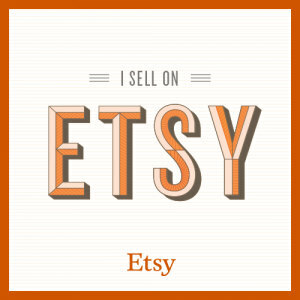 And, what luck to be included in this elegantly whimsical spiritual treasury on Etsy! The Chartres Labyrinth necklace is in good company here– in amongst a wool felted Stonehenge and gong earrings! While making this pendant necklace which depicts the Chartes Cathedral labyrinth, I was thinking about the maze as an ancient metaphor and archetype of Wyrd or the mystery of destiny. 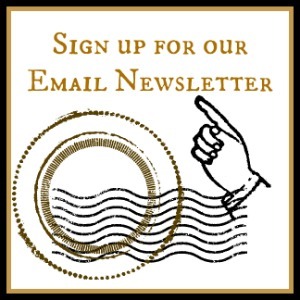 Living in the UK, I find myself in all kinds of mazes– some quite literal, like the hedge maze in Hanwell, or the turf maze of Rievaulx abbey. But often the very density of places in England can feel like labyrinths– from the tiny city of York with its snaking walls, the subway tunnels of London or the shadowed neon-lit corners of Soho. I didn’t really understand the resonance of the labyrinth until moving here. Indeed, there are no false turns in life!